This Halloween, become the President of the United States by purchasing the Trump Plastic Mask. 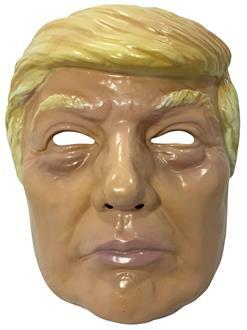 This Donald Trump mask is great for a presidential costume. Complete the look with a red tie and a black suit. Invite your friends to dress up as other Presidents of the United States too. Get creative and have fun with this mask!